In my hands I am holding an ample sandwich, the bread buttered and toasted, the bacon thick and salty and the tomatoes at the peak of ripeness. I open my mouth wide and take a bite, the lettuce crisp and refreshing against the bite of the horseradish-spiked mayonnaise. A BLT of this sort is one of summer’s most wonderful gifts and I have a hard time enjoying it during any other season. It’s also hard to beat a meal where you can name the farm or purveyor from which each ingredient was sourced. Such is the case with this recipe. I was tempted to call it the Douglass Loop Farmer’s Market BLT, as Z and I assembled the sandwich after a particularly bountiful day at our favorite Louisville market. The bacon was perfectly cured by the good people of Barr Farms (make sure not to leave without a dozen of their farm fresh eggs); the lettuce and herbal notes from Grateful Greens; the zing for the mayonnaise a healthy dollop of Hot 2 Trot’s signature Kentucky horseradish sauce; and the bread a special salt-rising variety made with care by the skillful hands of Deanna Rushing, the master baker from Wiltshire Pantry. And let us not forget the tomatoes – oh the tomatoes! – those were grown with an abundance of love by one of my most favorite farmer’s, Pavel. 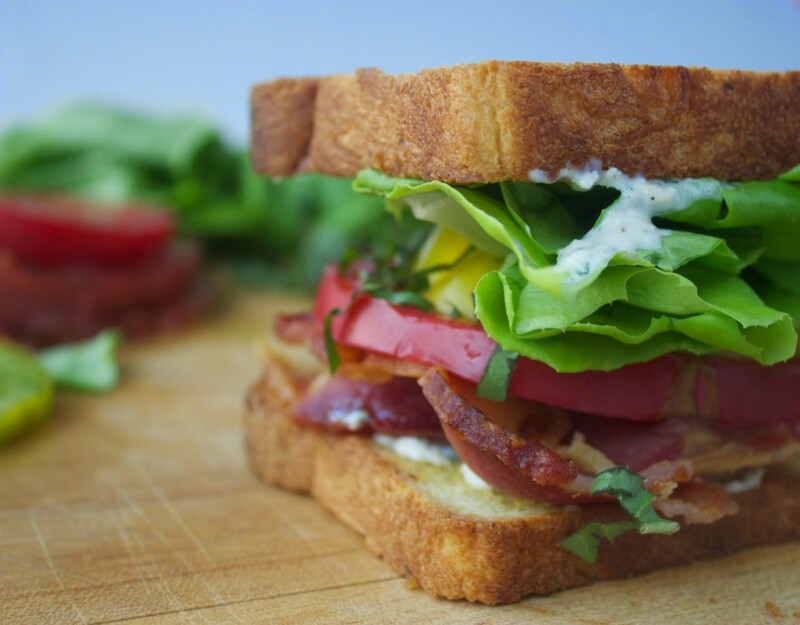 Eating local has never been so satisfying and I encourage you to create your own end-of-summer BLT during these final days of warmth and freshness. Preheat an oven to 400 degrees. 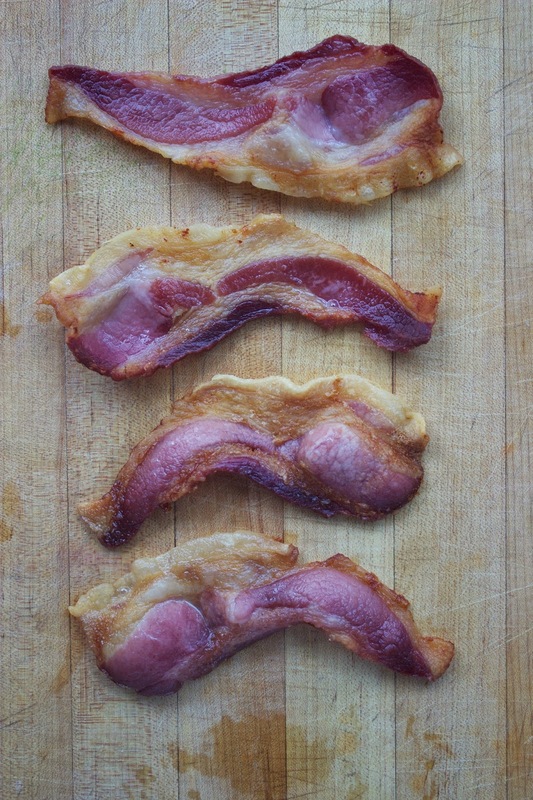 Place four slices of thick-cut Barr Farms bacon on a baking sheet and roast in the oven for 12-15 minutes until crisp. Remove to a plate lined with a paper towel and set aside. 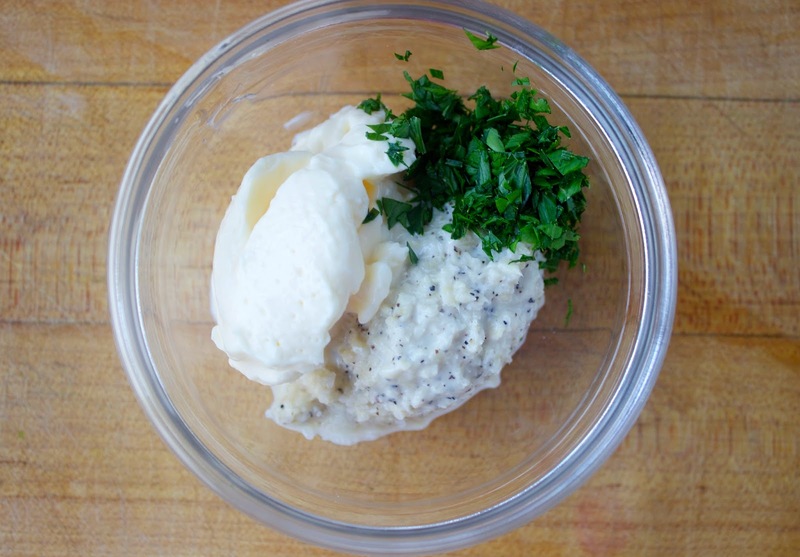 While the bacon is cooling mix the following together in a small bowl until smooth: one tbs Hot 2 Trot horseradish, one tbs mayonnaise, one tsp fresh parsley, minced, one tsp lemon juice and one eighth tsp kosher salt. Cut a variety of heirloom tomatoes into half inch slices. Basil and tomatoes are best friends and should never be separated. With that sentiment in mind, mince one tbs of fresh basil and set aside. Cut the loaf of bread into half-inch slices and lightly butter the outside of each slice. Toast until crisp but not burned. 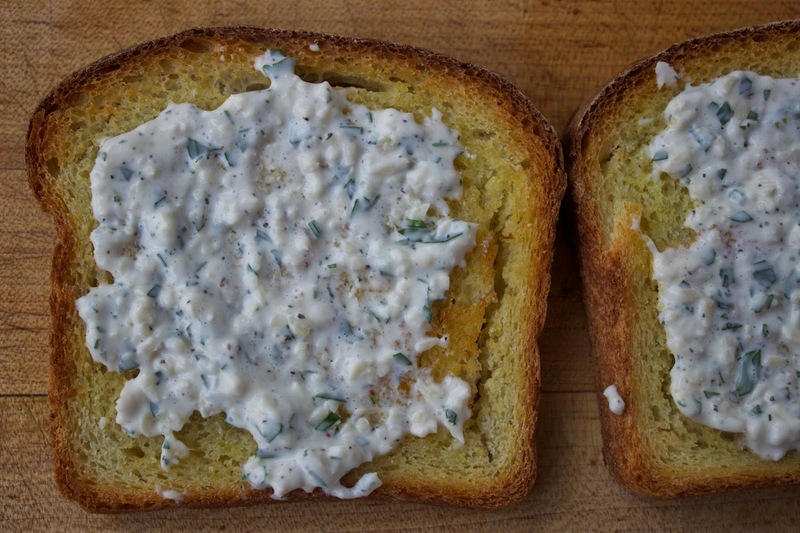 Spread the horseradish mayonnaise on the unbuttered side of each slice of bread. 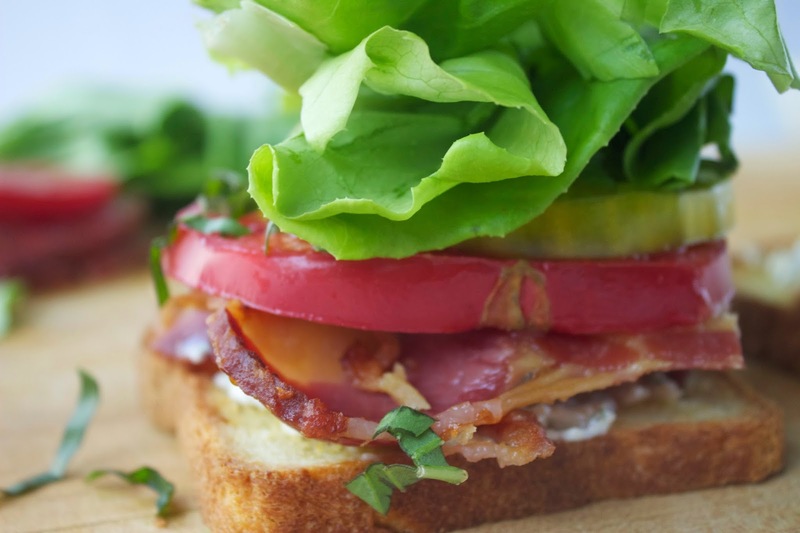 Layer the bacon on the base of the sandwich, top with the tomatoes, sprinkle with basil and add strong leafy green lettuce such as bibb or butter. Top with the other slice of bread and take a big, joyful and delicious bite of summer.